Mary Immaculate Primary School aims to promote the ideals of Christ which are reflected in our school motto – ‘CHRIST OUR WAY AND LIFE’. We as a school community endeavour to create an environment which fosters dignity, compassion and respect. We believe that the rights and responsibilities of all should be recognised in a place of quality Catholic learning and teaching, belonging, celebration, hope and respect and justice. 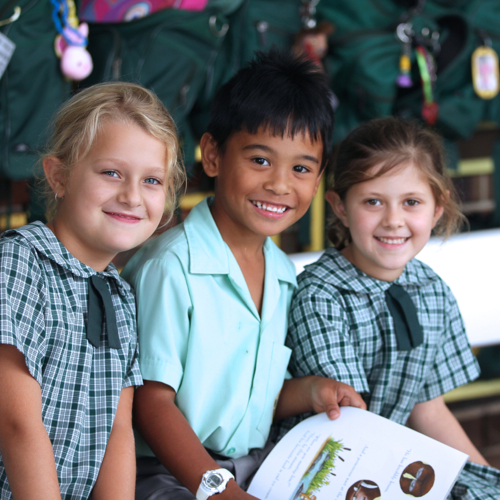 Mary Immaculate implements School Wide Positive Behaviours for Learning (SPB4L). This is a positive behaviour framework to enhance learning. At Mary Immaculate, we have three school rules: Be Safe, Be Respectful and Be Responsible.